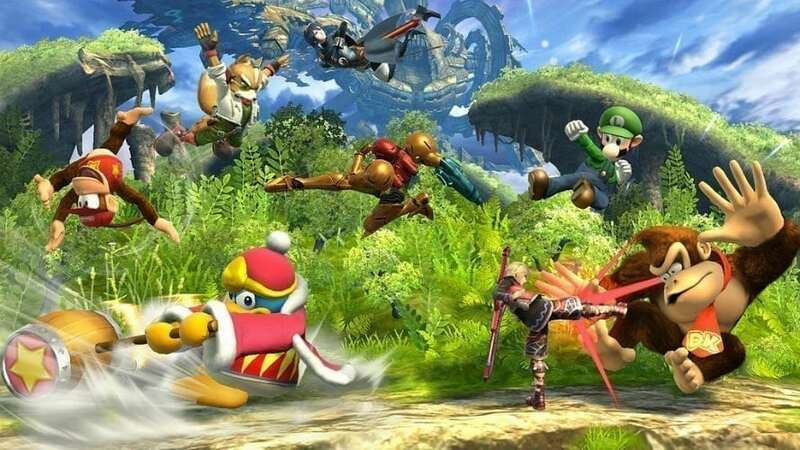 In case you didn’t see the absolute tidal wave of social media posting yesterday, yes, Super Smash Bros. was finally announced for the Nintendo Switch. It’s almost as if Nintendo knows exactly what its fans want and are willing to give it to them. Well, in celebration of this momentous occasion, let’s take a look at a few characters that we would all like to see make an appearance in Super Smash Bros. Switch/5/Whatever. I’ll buy it anyways. OK, this one’s kind of a gimme. I mean, they were in the trailer for the game after all and made an appearance in Mario Kart 8 Deluxe last year. And just think of all the moves they would have! Shooting ink. Spraying ink. OK, I guess that’s pretty much all they’d do. But I’m still excited. Much like with Splatoon, Arms is a brand new IP that Nintendo would like to promote as heavily as possible to make you forget that all their other characters were created during the Reagan era. Honestly pretty much anyone would make sense, as they all seem like ideal brawlers for Smash Bros. Hey, it makes more sense than the small children from Animal Crossing. Honestly, I have never played a Rayman game. In fact, I always thought he was one of those characters like Bubsy that had one or two games and then faded into video game obscurity with the likes of Earthworm Jim and Gex. (I miss those guys.) Well, he still seems to be a pretty popular character that would fit into the Smash Bros. universe. Hey, I just noticed something. I just had Arms as an entry and Rayman doesn’t have arms. There’s a joke here somewhere. As a nerd who is too old to be playing Pokemon Pokemon fan, I always look forward to the new creatures that will inevitably debut in the newest Smash Bros. game. Melee had Mewtwo, Brawl brought Lucario, and the most recent entry brought the wonderful frog-ninja Greninja. I could definitely see Decidueye fitting in, as it appeared to be the most popular starter of the generation. Plus, let’s be honest, it’s an owl holding a bow and arrow. Mario has already broken bread with former rivals Pac-Man and Sonic by inviting them to the Smash Bros. party. Why not bury the hatchet with former Sony-exclusive mascot Crash Bandicoot, too? After all, Crash’s N’Sane Trilogy was just announced for the Switch yesterday, so it makes sense to include Crash as a subtle advertisement for the game. And it might be a good way to apologize for those decidedly anti-Nintendo 90s ads.